In short, a woman from San Diego had a heart attack and died after a “naturopath” gave her a turmeric injection to treat her eczema. WHY, WHY, WHY would you let anyone inject you with turmeric (or curcumin, for that matter)? As Dr. Heger pointed out, would you let someone give you an injection of mashed carrots? No, of course not. Same sort of thing. If anyone offers to treat you with weird-sounding treatments, run away as fast as you can. And then report them so that they won’t harm others. I hope this “naturopath” gets prosecuted to the fullest extent of the law…gee wiz. Yes, Bryce Canyon. Seriously. Something you’d never expect in my beautiful Tuscany. 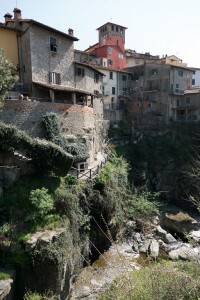 And yet, this “canyon” is practically in our backyard, only a 45 minute drive from where we live in Florence. But let’s start from the beginning. We spent Saturday with a couple of friends of ours (the same ones with whom we went to Siena a few weekends ago, and who spent New Year’s Eve with us in Austria…poooh, I still have to publish that post, by the way, argh!). We had planned on visiting Loro Ciuffenna, a very pretty little Medieval town, with steep, narrow streets, located in the province of Arezzo. The town is cut in half by the Ciuffenna, which, right now, is a very noisy, fast-flowing stream but soon, in the summer months, will be nothing more than a trickle, apparently. 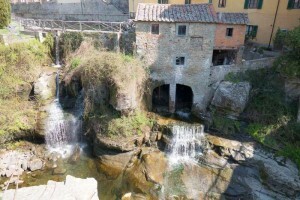 The Ciuffenna’s raging waters drive its ancient chestnut flour mill (see photo no. 1), which is located just below the main bridge (the bridge was built after the Germans had blown up the original bridge while retreating in WWII, we were told by one of the locals). Loro Ciuffenna also has an asymmetrical Roman bridge that was left intact by the Germans because it was too narrow for tanks to be able to cross it. Unfortunately, I have terrible photos of the Roman bridge, too! Oh well. We’re planning to go back there, anyway. 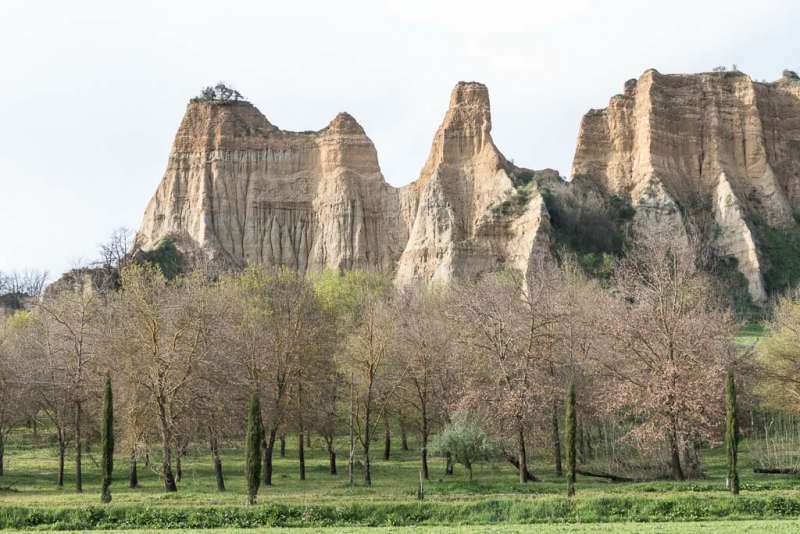 Le Balze were formed by the sediments of a prehistoric lake that, two million years ago, was 20 kilometers long. When the lake started disappearing, throughout the millennia, it left these weird-looking rock formations of clay and sand that can be as much as 100 meters high. Le Balze have been compared to Bryce Canyon, in Utah. We want to go back and explore the area more carefully, because on Saturday we managed to see only two of these Balze, but there are actually quite a number of them, scattered all over the area around Loro Ciuffenna and Castelfranco di Sopra. Beautiful colors, too, don’t you think? As for my own, limited, anecdotal experience, I have treated skin infections and weird rashes on my arms (about which I have written here on the blog) with turmeric and/or curcumin, with rather unexpected (amazing!) results. I have, thank goodness, never had a sepsis sort of infection, but if I ever do, I will certainly use curcumin for it. Anyway, my point today is that it’s good to have open-minded doctors who think outside the box…Good stuff! P.S. 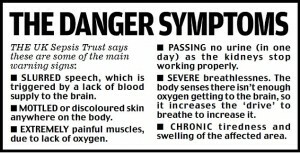 If you want to read the “Danger Symptoms” (above), just click on the photo. A friend of ours posted this link on Facebook today: goo.gl/P2jGO0 The link will take you to the inspiring story of a 91-year-old woman from Michigan who was diagnosed with uterine cancer and decided to spend her last months driving around the U.S.A. with her dog and family instead of undergoing the conventional treatments that “were unlikely to treat the illness” anyway. 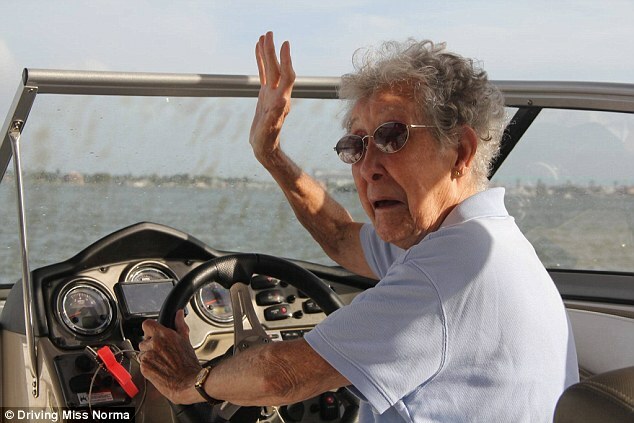 She died in October 2016, after completing her long road trip. Okay, and now it’s time for me to fess up…the joke’s on me! I mean, even though I studied Latin for many years, up to, and including, my last year in Italian high school, I didn’t recognize that Punica granatum meant pomegranate! Silly me! in February of 2011 (see http://margaret.healthblogs.org/other-alternative-treatments/cardamonin/). That post was based on a 2010 study, showing, and I quote, that “Cardamonin affects both the STAT3 and NF-kappaB pathways, which, as we know, are crucial for myeloma cell survival and proliferation. It also enhances the anti-MM activity of some conventional drugs used in the treatment of multiple myeloma: vincristine, doxorubicin, dexamethasone, bortezomib and thalidomide..[…] it also has a strong effect against COX2, Bcl-2, Bcl-xL, survivin, VEGF (angiogenesis).” Good stuff! But, as far as we are concerned, the results of the 2015 study confirm those of the 2010 study, that is: cardamonin strongly inhibits myeloma cell activity and proliferation, and, at higher doses, kills the darn cells. Another study that I hadn’t seen, published in 2013, tells us that cardamonin also blocks RANKL, thus suppressing osteoclastogenesis = the process of bone destruction: goo.gl/cFh3QI. This is also a bit of excellent news for us. Well, the news would be even more excellent if it were super easy to find cardamonin. 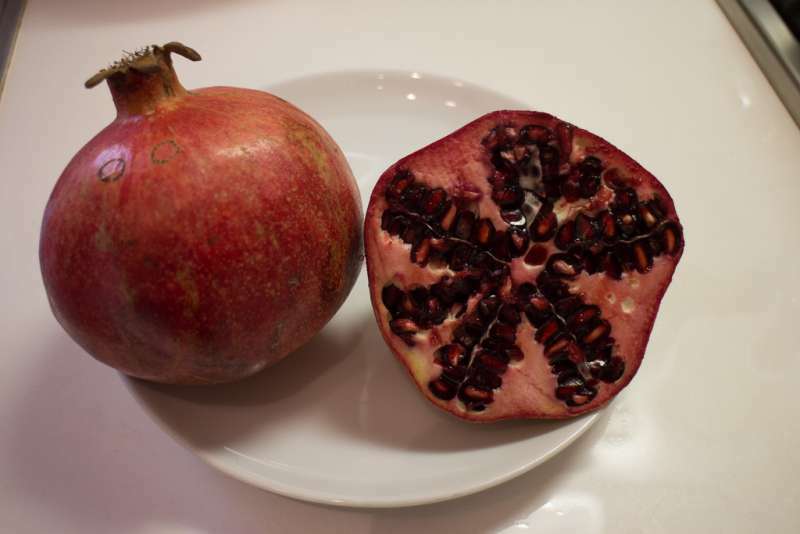 Unfortunately, it’s not as simple as going to the health food store and buying some cardamom seeds to add to our food. There are, apparently, seven other Zingiberaceous species, and the cardamom seeds found in stores don’t come from Alpinia katsumadai. For example, in my health food store I found cardamom seeds from Elettaria cardamomum, that is, a different plant altogether. Bummer, eh? So the search is on! If anyone knows of a reliable, safe source for this stuff, please let me know. But, as always, please be careful and do your research before ingesting anything! PLEASE NOTE (note added on March 19): There are different Zingiberaceous species, as I mentioned above. 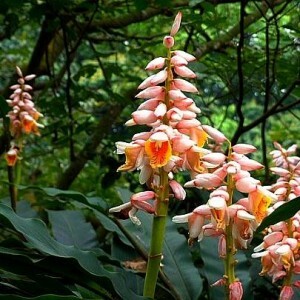 The seeds from Elettaria cardamomum are NOT the same as those from Alpinia katsumadai. The seeds look very similar, but they come from two different plants…Therefore, thanks for sending me the links to different websites that sell Elettaria cardamomum seeds, but it would be pointless and misleading for me to post them. Yesterday Stefano and I drove to Siena with a couple of our best friends and their dog. Ah, what a glorious day! Sunny but not too sunny, cool but not too cool. In short, perfect weather. When we first arrived, we went to have an espresso at Nannini (you simply have to do that…it’s practically the law in Siena…just kidding! 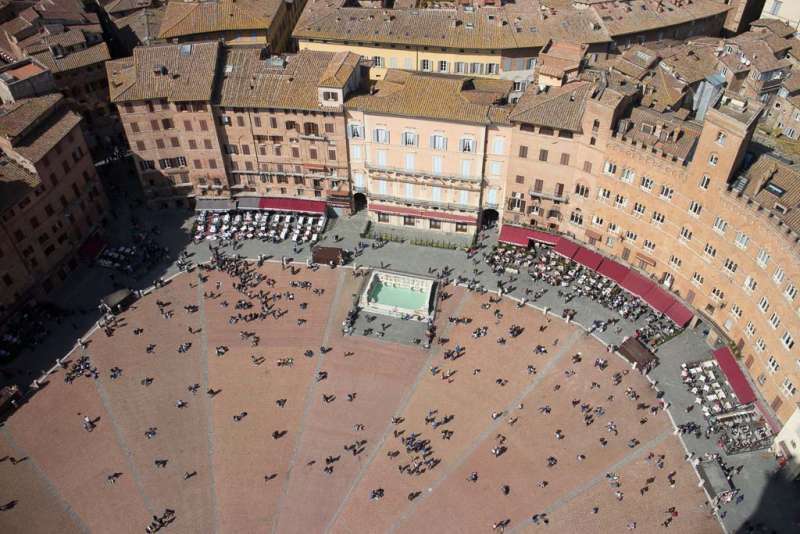 🙂 ), then ambled down to Piazza del Campo, Siena’s most famous, shell-shaped square…certainly one of the loveliest squares in Italy. 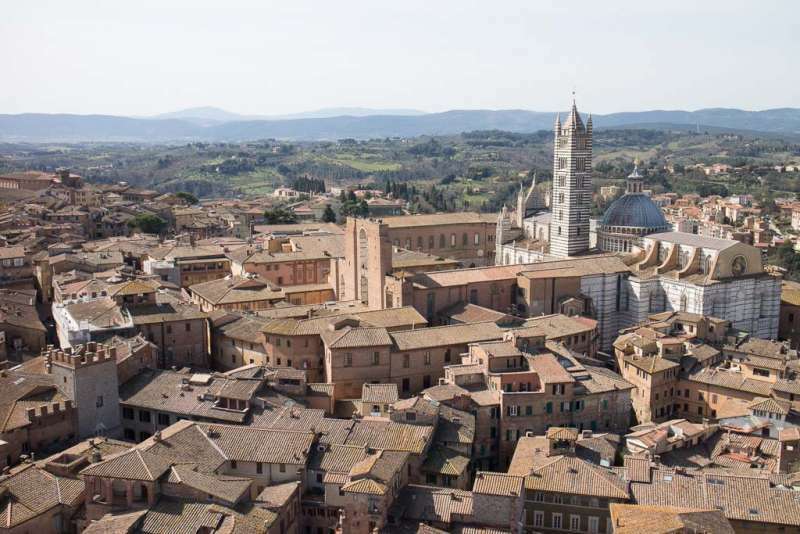 We’ve been to Siena before, many times, and I’ve posted photos of these day trips, but yesterday we had a different perspective, which means that I have some new photos to show you. 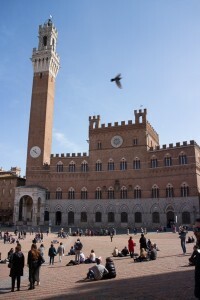 We decided in fact to climb to the top of the famous Torre del Mangia, the tall bell tower in Piazza del Campo (see photo no. 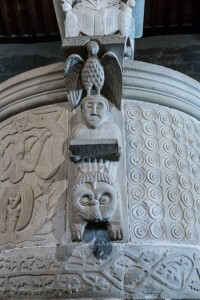 1: it’s on the left). 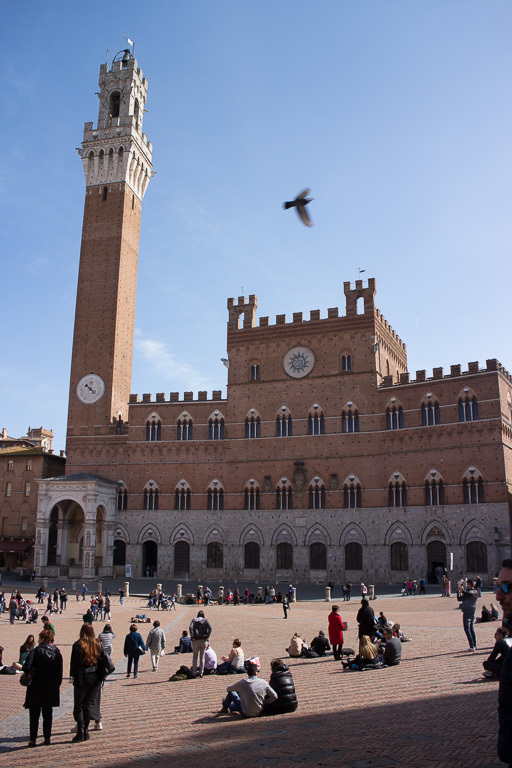 The Torre del Mangia was built in the 14th century. It’s 88 meters high (289 feet), and it’s also the third highest medieval tower in Italy. I forgot to count the steps as we went up, up and up and up very narrow marble steps, steep ones at times…But I looked online and found that there are a total of 400 step. 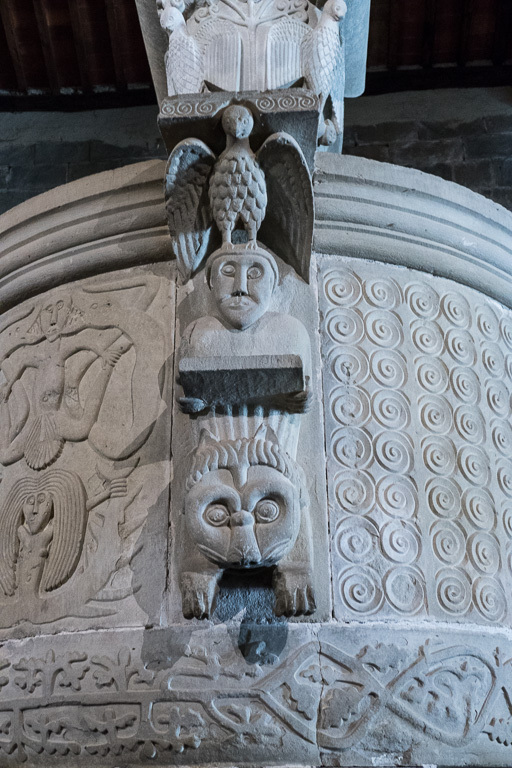 Compare that to the 414 steps of the bell tower in Florence, which you might be more familiar with. So, quite high. Parts of the staircase were extremely narrow, making it difficult to let people by, either coming down or going up. Ah yes, it was quite a squeeze, here and there. But we all (tourists), er, squeezed away in good cheer. 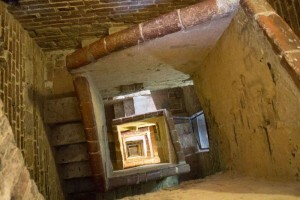 Check out my second photo, which gives a view of the stairwell, looking down almost from the top of the tower. As you can imagine, this climb is not intended for vertigo sufferers. 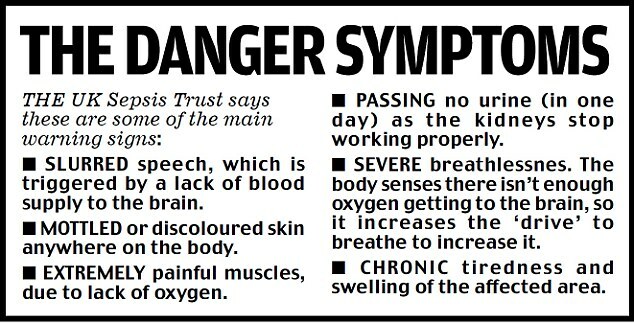 Or for anyone with heart problems. The view from the top is amazing. 360 degree views of the city and, of course, the surrounding hills of Tuscany. Incidentally, you can click on the photos to make them bigger. No. 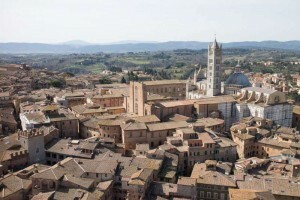 3, e.g., gives you a view of the back of Siena’s Duomo, = Cathedral, and also a nice view of the city’s rooftops. The last photo on the left is a view of the square where you can sort of make out its shell shape. In sum, we had a lovely lovely day. Bliss. But in that case, they couldn’t have written anything so negative, right? PubMed, darling, here I come! First, what is polydatin? Have you ever heard of it? I hadn’t…before this morning. Well, in short, it’s extracted from Japanese knotweed, a large, herbaceous perennial plant of the knotweed and buckwheat family Polygonaceae. The description sounds quite innocuous, but in fact this plant is far from innocuous. It’s a terribly invasive, almost impossible-to-get-rid-of WEED that can take over huge expanses of land if unchecked, and its rhizomes can even cause extensive damage to building foundations, walls, and whatnot. Okay, well, there go my first thoughts of planting some in the back yard. Oooops, not happening!!! Note: this study tests polydatin on cells, not people. But even so, the results, on the myeloma RPMI 8226 cell line, are quite amazing: the more polydatin was added to the mix, the more these myeloma cells stopped proliferating. The MM cells eventually died. DIED. Now, the only thing that slightly concerned me was in the Discussion part, where the researchers state that polydatin was found to be less toxic to normal cells. Does that mean it was somewhat toxic to normal cells, though less so, compared to cancer cells? I couldn’t find an answer…can anyone else find it? Reading on, we see that polydatin (or PD, for short), “functioned as a tumor suppressor in MM cells. The proliferation of MM cells decreased and apoptosis increased progressively along with the increasing concentrations of PD.” Super duper…again. Just one last comment on mTOR, that is, polydatin’s target. And here I’m taking from my own research: mTOR is a really nasty pathway involved with myeloma disease progression. When mTOR is activated, MM cell lines resist being killed. Obviously, not good at all. And, in fact, if you do a search of PubMed, mTOR inhibitors are being developed all over the place to treat myeloma. Okay, so more studies (in vivo ones, especially) are needed, blablabla. But what I find tremendously significant is that this new study proves that the interest in finding new plant extracts that might possibly be useful in the treatment of myeloma and other cancers is live and well. And that can only be a very GOOD thing…!! !